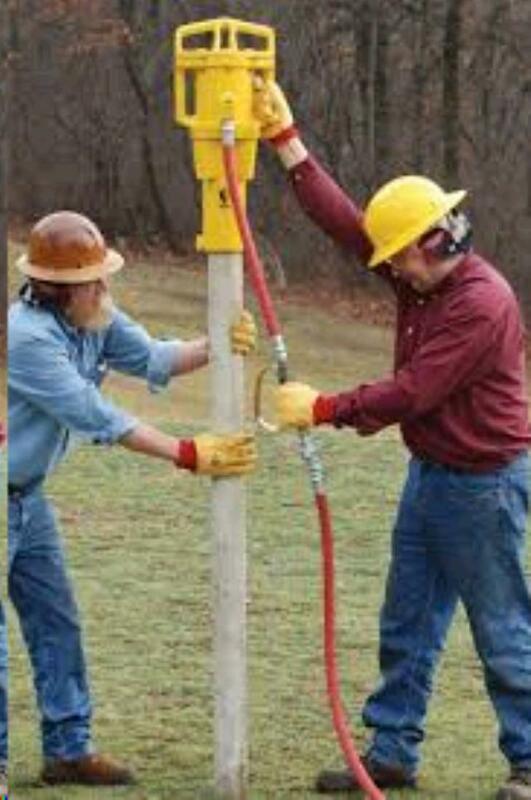 PNEUMATIC POST DRIVER, 2" OR 3"
Drives T-Posts, Ground Rod, Tent Stakes, Grape Stakes, and Fence Posts 2" or 3". 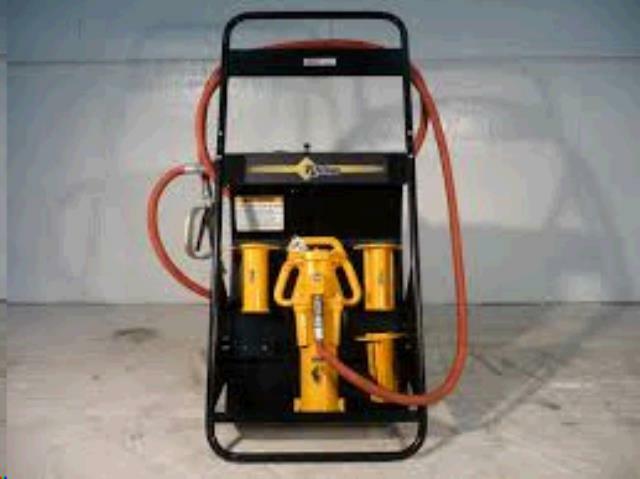 Easily operated by one person, Rhino Air Post Drivers deliver up to 1700 blows per minute. One moving part, a reciprocating piston, strikes directly on the Post or Drive Cap. The Drivers have low air consumption rates, are light-weight and hand portable, ideal for driving in places that are hard to reach. The legendary PD-55. For nearly 40 years, the PD-55 and its predecessor - the PD-50 have been the productivity leaders in post driving. At just 54 pounds and with a 3-1 2" piston, the brutally tough PD-55 is capable of handling your toughest applications quickly and efficiently. 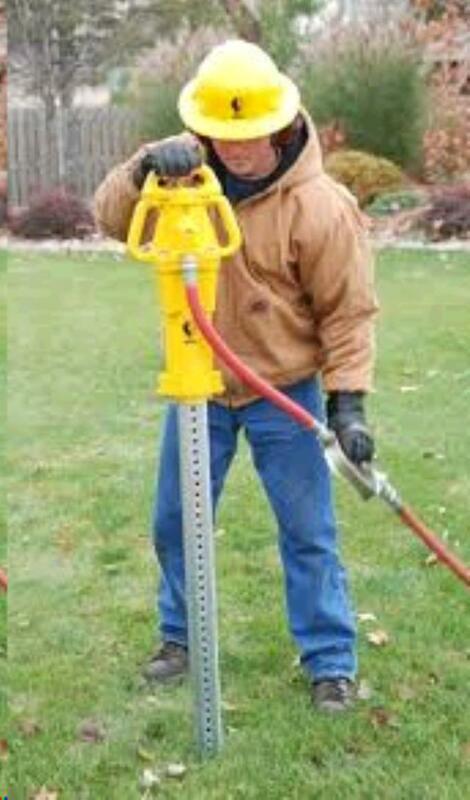 * Please call us for any questions on our pneumatic post driver 2 inch or 3 inch rentals in Santa Ana and Orange CA.